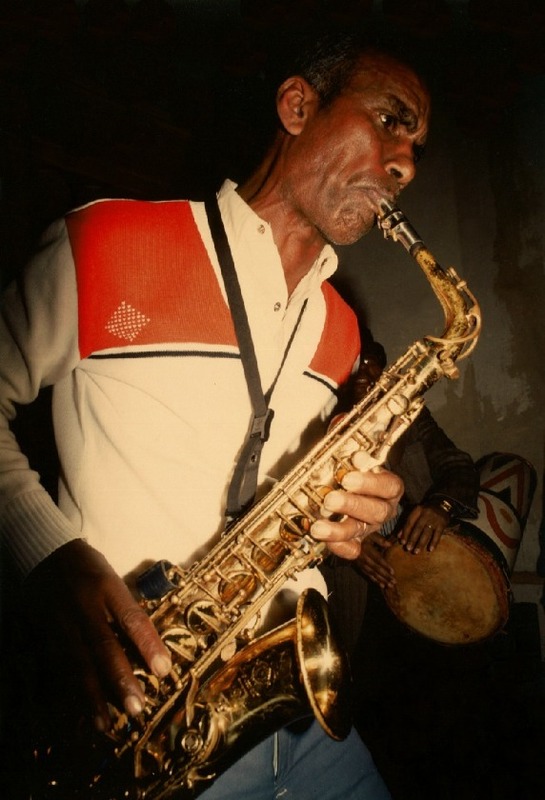 From a self-taught musician exploring his Nubian people’s musical roots to a professional, successfully leading his various bands into new, vibrant, international pop territory – Ali Hassan Kuban became an international star when his music finally went global in the 1980s. When precisely Ali Hassan Kuban’s legendary recordings, released internationally by Piranha in 1988, were made, nobody knows any more. What we do know, recordings had taken place at Delta Sound S.A. in Cairo – with the orchestra’s entire line-up circled around the only working microphone at hand. The tracks had been travelling in the Arab world on two audio-cassettes afterwards and accompanied his rise from a local superstar to a musical innovator of new, vibrant, international Pop. 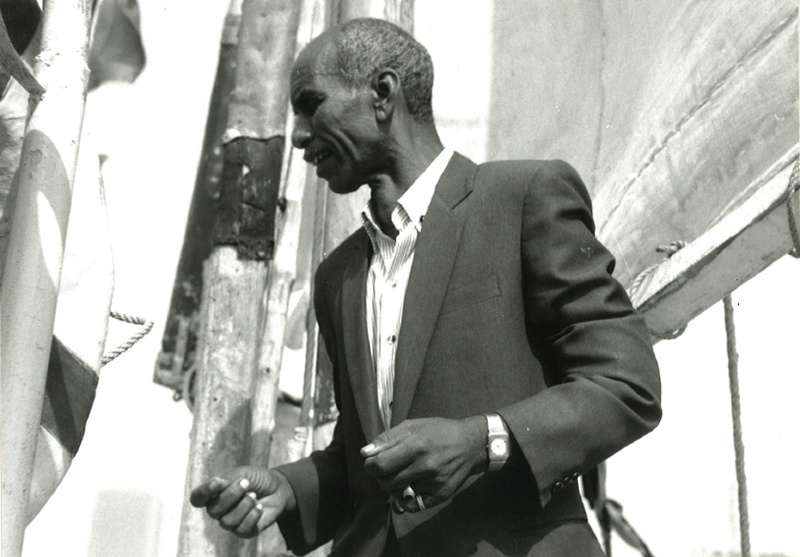 When the Godfather of Nubian Soul made his entry into old Europe via the Heimatklänge festival’s ‘Orient de Luxe’ edition in 1989, his dynamic live act fit Berlin’s music-driven all-night parties of the days perfectly – just as perfectly as the thousands and thousands of Nubian weddings he played until his death. Ancient Nubian melodies played on a background of pulsating Western beats and sounds that draw from American jazz and international pop – Ali Hassan Kuban served as one of the founding fathers of the musical breed which crushed the gates between the Global underground and Western pop: the old and the new! The weddings and the concert hall! The Orient and the Occident! The roots and all kinds of blossoms – whatever may come! He was a colourful personality with a colourful story. 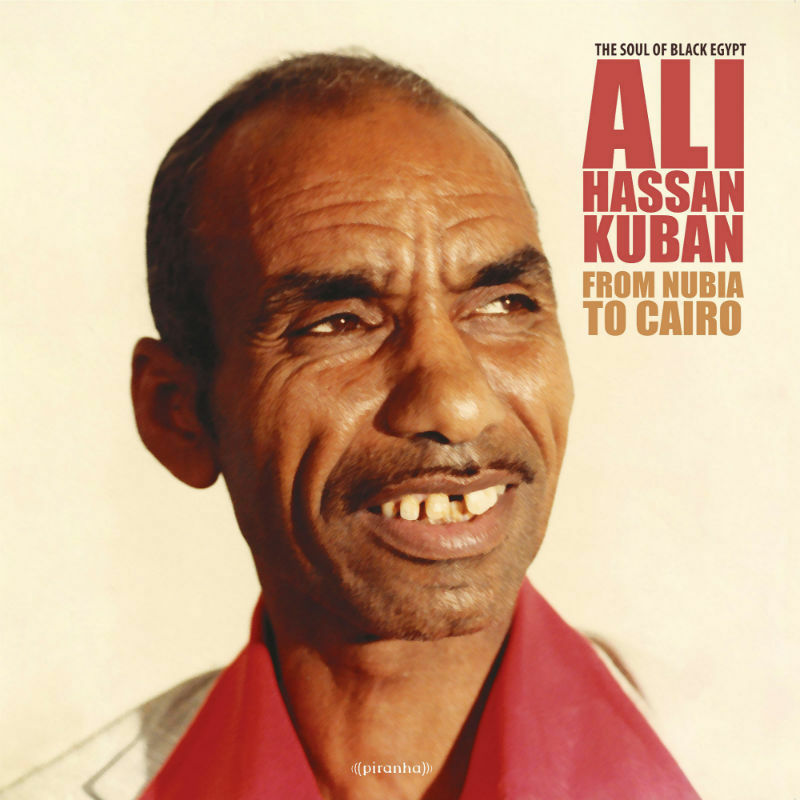 Born in a small village in Upper Egypt, drowned soon like the whole Nubian motherland by the Assuan dam, young Ali Hassan Kuban had learned the clarinet and bagpipes intuitively and informally. 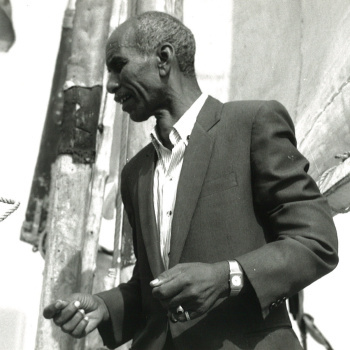 Only after becoming part of the growing Nubian drift to the cities was he able to hone his natural musicianship into a professional skill. 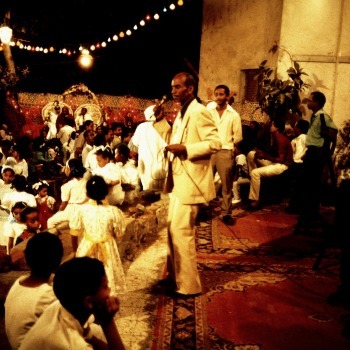 Starting out as an apprentice tailor in Cairo’s vibrant Abdin district, a traditional magnet for Nubians, he went on to master the pentatonic roots repertoire of black Egypt and became one of the most popular wedding musicians up and down the Nile. 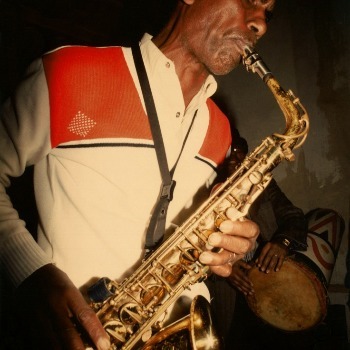 And so it was until he overheard a band of jazz musicians from Harlem from the pavement outside the Gezira Sporting Club – then everything changed for real. In came the bass, keyboards and brass, the music got pop muscles and a funky beat. With a couple of huge domestic hits like ‘Sukkar Sukkar Sukkar’ and ‘Amira’, Ali Hassan Kuban, the former traditional wedding musician became a household name in Egypt. From this, he made his entry into the international festival circuit, playing after Heimatklänge at WOMAD, New York’s Central Park SummerStage and many more, establishing his reputation as a crucial forerunner and driver of the global music boom. Within those ranks, the realm of the genre’s hall of famers, through his inspiring life and prolific career and long after his passing away at 72 in 2001, his star keeps shining brightly. 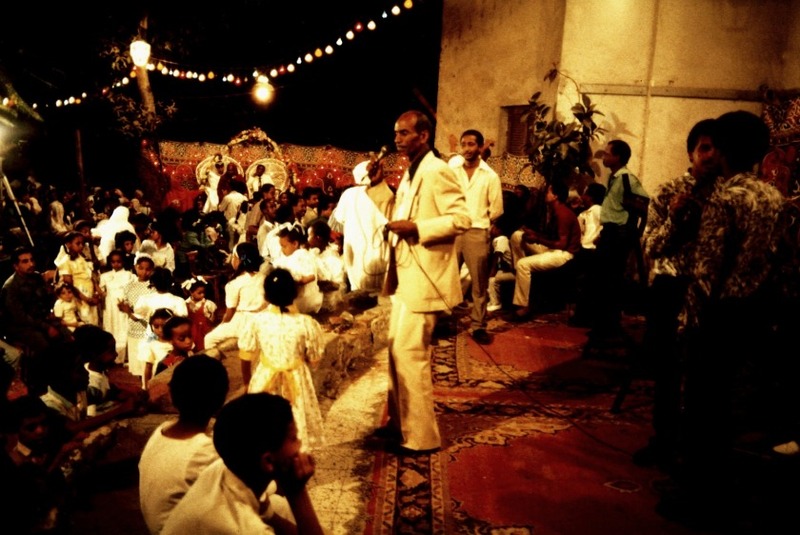 “From Nubia to Cairo” is the first milestone in urban Nubian Pop. The record will be available in glorious audiophile format - remastered from analogue tapes with listening standards refined to the contemporary levels. 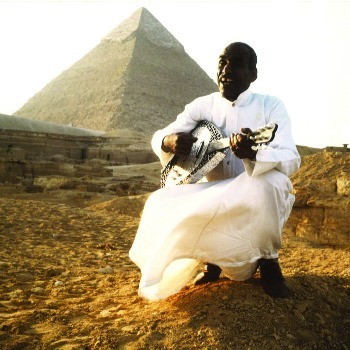 The first batch of Ali’s long-legendary Nubian originals, seductively praising in touching lyrics his native Nubia and Egypt, their people, in particular, their women, and life. Life in general. A genuine collector's item for years, here, the original recordings that broke him internationally – astonishing, how well they have stood the test of time. Delicately crafted Nubian Soul with melodies to sing along – the whole global music shebang! What is the world but one great big Nubian wedding!